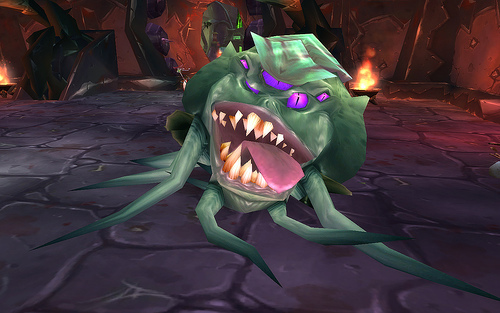 Image: I can just imagine this Blood Furnace boss exhorting people “L2P!” as he kills them over and over. 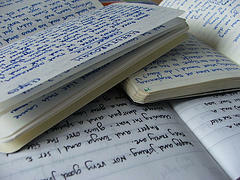 It is day two of the writing regime. Today’s plan is writing 750 words, writing CMA feedback, and working on the paper. I was musing last night about the approach to the paper, thinking that having an abstract or an introduction actually makes it easier to write because it provides a focus for the paper’s direction. I have heard other people say that it makes sense to leave the introduction to the last because then you know what you’ve written. I think the former approach might be more sensible for me. I can always go back and revise the introduction if it does not reflect what I end up doing. Focus, however, is priceless. In addition to an introduction or an abstract, a title might also help. I was experimenting with variants of “L2P! Learn To Play Or…”. I thought that was clever, as it’s something you often see more experienced, impatient players saying to players who they think are not living up to their expectations in terms of expertise or speed. In the context of my work, however, it probably makes more sense to say “P2L! Play To Learn”, but I’m not sure how many people will get that. Nevertheless, a title is a starting point. I had both before I started my keynote writing and that turned out well. Perhaps I can incorporate the factoid into the abstract. “L2P! L2P!” This is the exhortation you might encounter in massively multiplayer online games (MMOGs) when other players around you believe your skill or speed in playing is inadequate. It means “learn to play”. In this paper, we demonstrate how L2P has been turned on its axis to yoke the trials of play to the game of learning. 39 World of Warcraft players primarily playing in Europe submitted essays answering the question “Why do you play World of Warcraft?” in a 2010 study. Using a grounded theory approach and discourse analysis, the essays were analyzed to ascertain the contributors’ motivations for playing and their reasons for persisting in playing. Yee’s player motivational framework subcomponents (Yee 2005; Yee 2006) were applied to each essay and contrasted with Bartle’s original player typology (Bartle 1996; Bartle 2003) in aggregate to determine overall, general motives these players had. While participants were not asked to write explicitly about learning and many did not provide any examples, several contributions are examined here as case studies of mundane and unusual examples, illustrating what these adults are playing to learn–a learning that goes beyond dungeons, dragons, and dwarves. That does not seem too bad as a first go. I need to check on the discourse analysis; it might not be completely true. I also have no idea how I am going to write up the grounded theory bit appropriately, but at least that is accurate. I definitely followed that kind of approach in tagging the essays. I need to find some time to pore through the James Paul Gee’s book on discourse analysis. I just saw someone else in #phdchat mention it again yesterday. It keeps cropping up and I keep not reading it, even after I went to buy it and then realized I already had. That is trying to tell me something, if I would only listen. I also need to check on what to call Yee’s framework. Bartle, R. (1996) ‘Hearts, Clubs, Diamonds, Spades: Players Who Suit MUDs’, Journal of MUD Research, 1 (1). 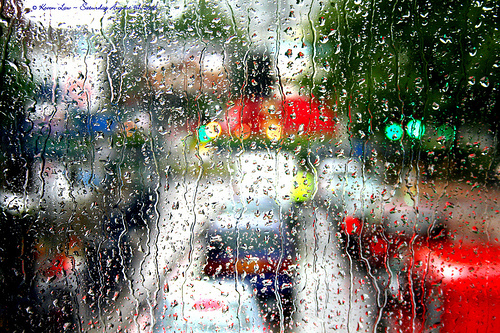 Also available from: http://www.mud.co.uk/richard/hcds.htm (Accessed April 22, 2011). Bartle, R. (2003) Designing Virtual Worlds. New Riders Publishing. Yee, N. (2005) A Model of Player Motivations, [online] Daedalus Project. Available from: http://www.nickyee.com/daedalus/archives/001298.php?page=1 (Accessed March 31, 2011). Yee, N. (2006) ‘Motivations for Play in Online Games’, CyberPsychology & Behavior, 9 (6), pp:772-775. Also available from: http://www.liebertonline.com/doi/abs/10.1089/cpb.2006.9.772 (Accessed March 31, 2011). I’m about halfway through my initial coding of the motivation essays collected last April. I should have been done this months ago, but I’ve somehow been scared to do it. I think the big reason behind that is I’m afraid that I’m doing it or will do it incorrectly. As I am going through and creating codes, I cannot help but feel that I am not always focussing on the motivation issue, which is the primary question. I am generally coding for content or themes I see appearing in the essays. As an example, an essay may express that the author is more likely to assist someone else if they feel that other person has put some effort and thought into their character. That is not their motivation for playing, but I have still created a code for it as “assist others”. When I get to the end and review the list, I will not be able to tell which ones refer to motivation. Some probably are where a participant has expressed it as a motivation, but other instances, even of the same code, might just be a theme that was raised. I was reading Chapter 3 of David Silverberg’s Doing Qualitative Research: A Practical Handbook (Silverman, 2010 p.17-42) in September. In it he gives three research diaries of Ph.D. students he had, detailing how they went from the start of their research projects, through methodology choice, and then through to data analysis. While it was quite striking how coherent and “painless” the stories were, the more relevant realization I took away from it was the importance of having a framework around which to direct your research and to make sense of your data. In two of the cases, the students used conversational analysis, a ethnomethodological approach. Conversation analysis (commonly abbreviated as CA) is the study of talk in interaction (both verbal and non-verbal in situations of everyday life). CA generally attempts to describe the orderliness, structure and sequential patterns of interaction, whether institutional (in school, a doctor’s surgery, court or elsewhere) or in casual conversation. On Thursday, 21st October, Jo Iacovides (IET) and Marian Petre (Computing) are hosting an informal discussion on gaming research, with the aim of getting people from the OU who are interested in the area to meet up. Whether it’s using games for learning, considering game design, using gaming as a medium for understanding strategy or interaction, or anything else game-related, it would be great to hear from you. As I’m interested in motivation, learning, and communities of practice formation within World of Warcraft, this is right up my alley. I know Jo Iacovides, one of the organizers, is also interested in some similar topics, as we’ve corresponded previously, but I’m eager to make some other connections. 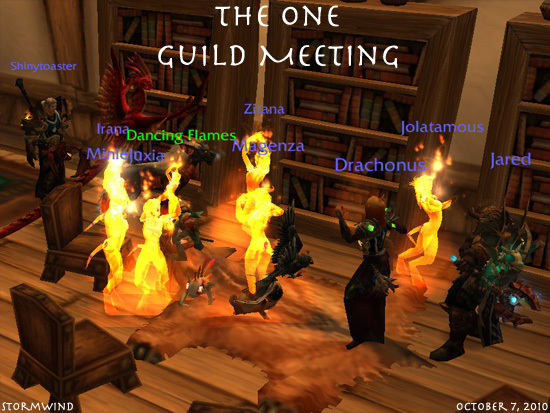 I doubt it will get as “heated” as some of my guild meetings, but it should be interesting. PS: If anyone knows of cheap ways to get from Milton Keynes Central to The Open University, please let me know! I currently use the Raffles taxi service and it’s about £5.00 each way; the taxi fare is almost as much as my rail fare from London. Thanks. Hermeneutics (English pronunciation: /hɜrməˈnjuːtɨks/) is the study of interpretation theory, and can be either the art of interpretation, or the theory and practice of interpretation. Traditional hermeneutics — which includes Biblical hermeneutics — refers to the study of the interpretation of written texts, especially texts in the areas of literature, religion and law. Contemporary, or modern, hermeneutics encompasses not only issues involving the written text, but everything in the interpretative process. This includes verbal and nonverbal forms of communication as well as prior aspects that affect communication, such as presuppositions, preunderstandings, the meaning and philosophy of language, and semiotics. Philosophical hermeneutics refers primarily to Hans-Georg Gadamer’s theory of knowledge as developed in Truth and Method, and sometimes to Paul Ricoeur. Hermeneutic consistency refers to analysis of texts for coherent explanation. A hermeneutic (singular) refers to one particular method or strand of interpretation. It’s apparently related to computational semiotics or used in computational semiotics. That reminds me of James Paul Gee again because he talks about the semiotics of things in his What Video Games Have To Teach Us about Learning and Literacy (2007). Is it another sign that I need to be looking at Gee’s book on discourse analysis (Gee 2011)? Gee, J.P. (2007) What Video Games Have To Teach Us About Learning and Literacy, 2nd edition, New York, NY, United States, Palgrave Macmillan. Gee, J.P. (2011) An Introduction to Discourse Analysis Theory and Method, 3rd edition, Abingdon, United Kingdom, Routledge. 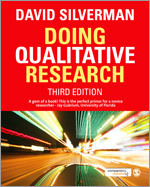 Silverman, D. (2010) Doing Qualitative Research: A Practical Handbook, 3rd edition, London, United Kingdom, Sage Publications Ltd.
Wikipedia. (2010) Hermeneutics, [online] web page, Wikipedia. Available from: http://en.wikipedia.org/wiki/Hermeneutics (Accessed September 21, 2010). iVERG is a group of collaborating academics and professionals from universities worldwide. Research on virtual environments for use in learning and teaching is diverse and complex and draws upon specialisms in education, computing, sociology, psychology and anthropology. It has an important contribution to make to the effective uses of these environments which are being increasingly taken up by a wide range of educational institutions worldwide. Although they have an intrinsic appeal founded upon their origins within gaming and social networking, immersive virtual environments need research informed practice to ensure their effective educational use. Michelle finished her Bachelor of Science degree in honours computing science at the University of Regina (Canada) in October 1995. She then joined the University of Zürich’s (Switzerland) Software Engineering Group, led by Dr. Helmut Schauer, and the Artificial Intelligence Lab, led by Dr. Rolf Pfeifer. While in Switzerland, she worked with Peter Schauble’s team at the Swiss Federal Institute of Technology on the EuroSpider project. She’s a co-author with Kenrick Mock of several IRC-based games, including Risky Business and Acrophobia. She’s a long-time member of the IDEAs Lab in the School of Informatics at the University of Sussex, where she’s currently working on a Ph.D. under the direction of the Lab’s head Dr. Judith Good. Michelle’s part-time Ph.D., started in 2008, combines her lifelong love of teaching, community building, and gaming to examine learning and motivation in World of Warcraft (WoW). She also teaches, writes, and chairs courses at The Open University on accessibility, online learning, Open Source, PHP, and e-business technologies. In 2010, she completed the two-year Postgraduate Certificate in Academic Practice and got a second character to Level 80 in WoW. She’s active on Twitter as @Eingang. I suppose I’d like to see what other people have said. I hate writing about myself, but it’s probably “good enough.” Now, off to post the application. My friend Howard Rheingold was asking on Twitter recently about how people use DEVONThink, a personal information manager for the Macintosh. While Howard’s relatively new to DEVONthink, I’ve been using DEVONthink Pro since 2005. DEVONthink Pro includes all kinds of import and file-use features to help people put all their information in one place. It can import or natively use PDFs, e-mail archives, Microsoft Office files, OPML (like from OmniOutliner, for example), iWork documents, log files for instant messenger clients or from SecondLife, BibTeX, XML, and address book. The Pro edition can also interface with a scanner to import your printed documents into the application and even OCR them. I don’t use most of these features. I don’t believe there’s a one-size fits-all information management tool, so I stick to dedicated applications for managing my e-mail, bibliographies, and chat logs. The primary use I make of DEVONthink in a research context is as my ongoing research journal. This is the first of a series of posts reflecting on using personal information management tools, like DEVONthink, for maintaining a research journal while doing my Ph.D. ﻿Before I talk about DEVONthink, I think it will be helpful to go back in time and look at how my research journal began. This will help explain why my research journal is structured the way that it is today as well as illuminate the path that led me to DEVONthink. I start off the series looking at NotePad Deluxe.